Only a few thousand Americans make decisions that shape the lives of 300 million people. Elites in government, business, the arts, and mass media direct policy and set the terms of national debates. Their influence is vast and deep. Yet what do we really know about these individuals and the personal, social, and moral factors that shape their lives? Based on the largest study of its kind, View from the Top is the definitive account of the factors that give rise to prominent leaders. It examines the challenges and opportunities they face in the halls of power, and reveals the ways they establish legacies of influence beyond their tenure. 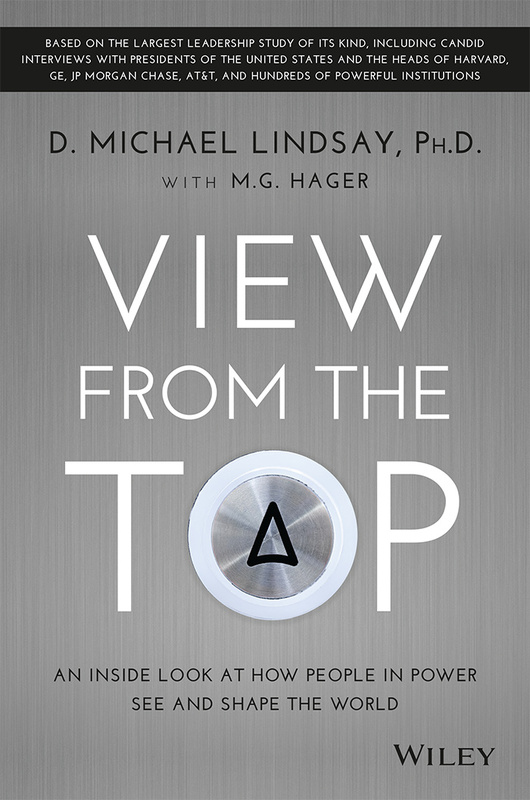 View from the Top is based on a ten-year research project conducted by award-winning sociologist and author D. Michael Lindsay, who interviewed 550 senior leaders, including two former presidents of the United States, hundreds of CEOs (including 20 heads of Fortune 100 firms) and over 200 executives at the world’s leading nonprofit organizations. Each leader has a personal story that springs from upbringing, motivations, experiences and networks. They echo through businesses, government and organizations and have dramatic impact on the world. View from the Top brings these stories together in an inspiring way, and is a necessary read for current and aspiring leaders.